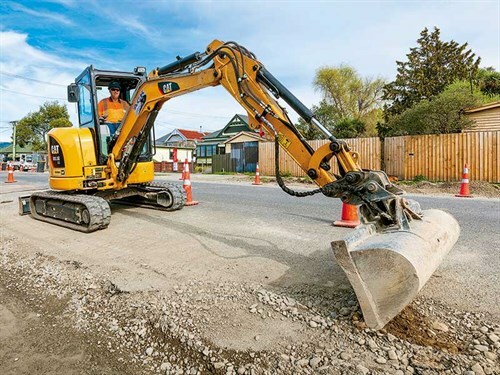 Caterpillar’s compact machinery gives all manner of Kiwi contractors a truly competitive edge, especially in our busiest urban construction zones. We meet two contractors for whom Caterpillar mini excavators and compact asphalt paving technology make a big difference. Two busy contractors at different ends of the country have found Caterpillar's smaller machinery still makes a large impression in a variety of working environments. 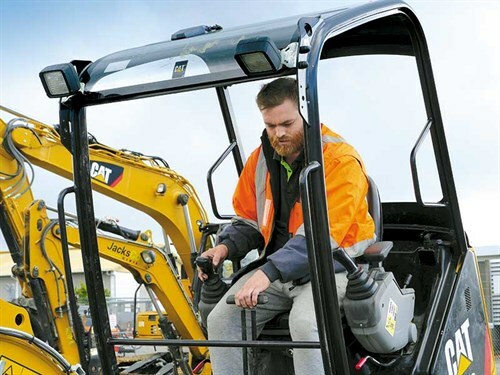 Robert Jacks from JacksCo Civil in Auckland and Colin Fitzgibbon from Christchurch-headquartered ACK Contractors, have both invested in machines from Caterpillar’s Building Construction Products (BCP) model range in order to achieve consistent performance for a variety of distinctly urban jobs. Caterpillar's BCP range of machines all encompass the one- to 10-tonne weight bracket and have been specially engineered to meet all the requirements for small-to-medium job sites, offering precise, responsive controls within a more compact footprint but not at the expense of horsepower. 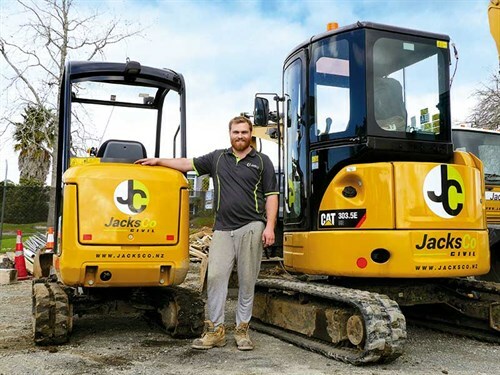 While Caterpillar gear has worn the ACK brand name for several years in Christchurch, Robert Jacks of JacksCo Civil bought the company’s first Caterpillar excavator 12 months ago. He has been impressed with the reliability and efficiency the machine offers and says owning a Caterpillar excavator fulfils something of a boyhood dream. "I’ve grown up in construction, and it has always been an ambition of mine to own a Caterpillar digger. I was relieved when I discovered just how good the Goughs customer service experience is. Otherwise, I would have been pretty conflicted about which way to go," he says. "JacksCo Civil was founded by my father, Simon, who is a director of the company as well as the owner of Bayside Designer Homes. Between the two entities, there’s a natural feed-in for urban earthworks, drainage work, retaining wall and driveway construction, along with a heap of other tasks that we need smaller gear for. 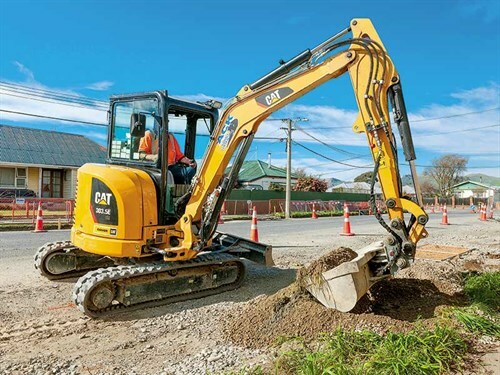 "Our 3.5-tonne Caterpillar 303.5E CR mini excavator is ideally suited for getting down the sides of houses, into backyards, and around the tighter corners that a lot of these jobs usually involve." The 3.5-tonner’s spec list extends far beyond what one might expect from a mini excavator. Caterpillar’s High Definition Hydraulic System provides for accurate load sensing and flow sharing capability for more efficient on-site performance. Similarly, Caterpillar’s Power on Demand system provides optimal efficiency and performance the moment you need it by reducing engine load between tasks. Also, it might be small but the versatile Caterpillar 303.5E CR offers 200 degrees of bucket rotation, which helps to provide for greater material retention during truck loading and easier flat wall digging without having to reposition the machine. 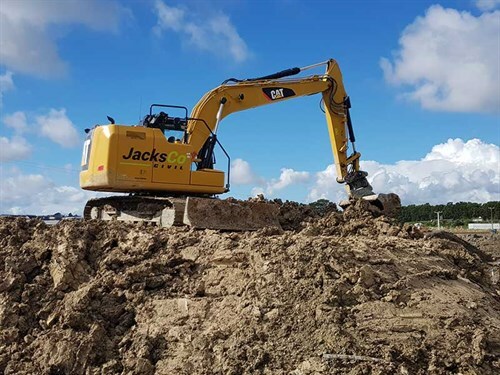 JacksCo Civil hasn’t stopped with one Caterpillar excavator either; a 13-tonne Caterpillar 313F L RR arrived two months after the first machine, while more recently, a third excavator—a 1.7-tonne Caterpillar 301.7D CR—has also joined the company’s fleet. Robert says Gough Cat made it simple for him and his general manager, Adrian Warwick, to purchase the new gear, offering a streamlined process from machine selection right the way through to machine delivery. "Adrian and I go back a long way—to high school, in fact—so I trust his judgement on a lot of things. To both of us, the Gough Cat offering was excellent right from the outset. We did our due diligence and looked at another couple of brands, but we got the feeling straightaway that Goughs understand that if you’re under the pump and something goes wrong, you need it sorted immediately. "So far, we’ve had nothing but consistent performance out of the machines; they’re all working excellently. In fact, there have been a couple of instances where I’ve used the 1.7-tonner to do the sort of job I might have used the 3.5-tonner to do previously. The smaller diggers are nimble enough to get down between houses, but you certainly don’t feel like they’re straining to keep up when you’re shifting material." 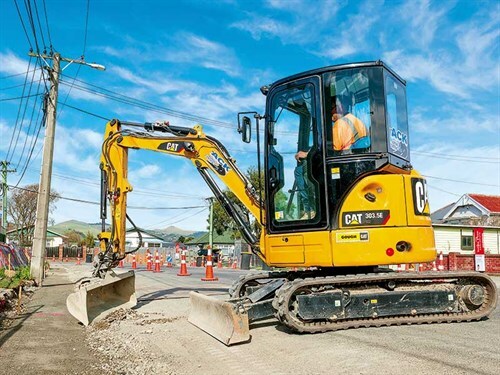 Meanwhile, in Christchurch, Colin Fitzgibbon from ACK Contractors has been working with Caterpillar gear since the mid-1990s and, as such, boasts plenty of Gough Cat-supplied hardware on his yard. Colin’s teamwork with a variety of Caterpillar machines, including 3.5-, 5.5-, 8- and 10-tonne excavators. "We’ve used successive generations of machines in our business, and I don’t see that changing anytime soon. It’s hard to break away from something when it works so well," he says. "Goughs offer the complete package though. They can get anything you need, they can finance you into the right gear, and then, of course, you get the bonus of their scheduled servicing, too." Colin’s team works throughout metro Christchurch, completing a variety of roading-based project work, such as curb and channel formation and footpath repair and construction. Another growing part of ACK Contractors’ portfolio is cycle path construction. In fact, a large-scale cycle path project—starting at Sparks Road in Halswell and running right into the city—is due to start next month and will see the ACK team and their Caterpillar gear working hard for the next eight months. Colin’s two latest acquisitions—a 3.5-tonne Caterpillar 303.5E CR mini excavator and a Caterpillar AP255E asphalt paver—will be gainfully employed on this lengthy project as it winds its way towards the CBD. Colin says you have to pay close attention to the size of the machine for cycle path work, as the shoulders are narrow and, by their very nature, the pathways run through a wide variety of environments, from parkland to high-density housing. "We chose the Caterpillar AP255E paver because it is a compact machine; it has been purpose-designed to be used on job sites where space is restricted and can be operated with just one of our guys onboard. But it still has a decent paving range (from 150mm to 3400mm), depending on what we’re doing, so it’s still a really versatile machine. 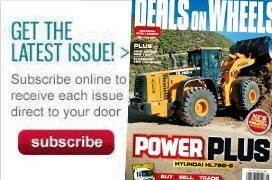 We have a solid reputation for high-quality asphalt paving, so we need to trust the machinery we’re using for these jobs," he says. In addition to a manoeuvrable and responsive tracked undercarriage, the Caterpillar AP255E offers companies such as ACK Contracting multiple paving widths, high ground clearance, consistently-heating screed plates, reversible augers, independent hopper control, and three automatic material feed sensors. "Everyone likes working with Caterpillar gear," Colin says, echoing a sentiment shared with Robert Jacks in Auckland. "I think the industry recognises Caterpillar as the best-of-the-best, so to be a part of that brand is a good thing for us as a company. Operating gear like this also means your guys are going to look after the machines. We have dedicated drivers for most of our plant, and they all treat their machine like they own it. "Goughs stands behind the machinery one hundred percent too, which, at the end of the day, is the best endorsement for Cat quality that you’ll find. It’s good to know they’re in our corner when we need it."